Customers these days are all about convenience. Whether it’s Amazon, an office, Walmart, or any other type of business, we’ve shifted to a very customer-centric world where customers expect a lot. For brick and mortar businesses in the winter, keeping your parking lot attractive and inviting looking will do wonders to keep business flowing. Just because we get on average four feet or more of snow and ice in Quincy doesn’t mean that business has to slow down. When snowstorms hit with snow, ice, hail and strong winds, you need a professional snow removal service that will keep your property looking great and easy to access. If a customer sees your parking lot full of snow and ice and thinks it’s going to be too risky or too difficult to get inside, they’ll go somewhere else instead. That’s the last thing we want to happen, so when the next big snowstorm hits, don’t delay in contacting us. Doesn’t matter whether you have a 6 car parking lot or a 100 car parking lot. We can clear it quickly and efficiently. As a business owner or manager, you are extremely busy with a lot of things in your mind. After having worked with many business owners and while running our own business, we’ve learned that a business owner has to juggle a dozen things at any given minute. We understand you have a lot of responsibilities, but there are some things worth delegating to services that will get them done faster and better than doing them yourself. This allows you to focus on the more important things you can’t delegate. Quincy Snow Removal provides snow plowing services for parking lots all over the area, and our services are fast and affordable. Hiring us is extremely easy and convenient, requiring you to just pick up the phone and tell us what you need. No corralling employees into going outside with shovels to pick at the snow, no distractions from important work, and business gets to flow smoothly. We understand how important it is to have a welcoming parking lot, and our powerful snow plows will clear it for you quickly. A great parking lot isn’t cheap, and after investing in a good one, the last thing you want is for amateur snow shovelers to damage and scar it. Not only will it deteriorate far faster the more damage is done, it will look far worse and end up costing you money to repair it. Using inappropriate snow removal equipment can do significant and expensive damage to asphalt and cement that will be hard to see till spring. From using the wrong tools–or using them incorrectly–to using chemicals that create premature aging and deterioration, it’s easy for an amateur service to cost you a lot more down the line. 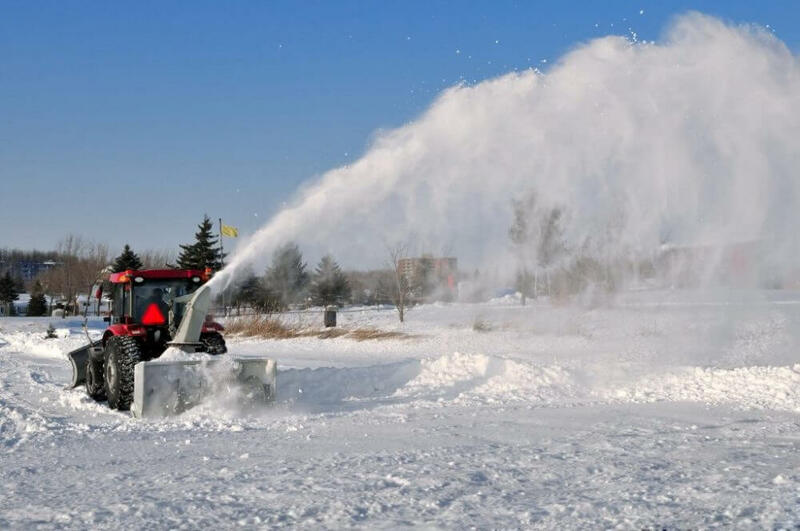 At Quincy Snow Removal, we use state of the art equipment and our teams are experienced and highly trained. All you have to do is wake up, give us a call, and we’ll clear your entire parking lot service without damaging it using the most proven and trusted methods. Heavy snowfall doesn’t ask us if it’s a convenient time before it hits us. But when they hit and the snow starts to build up, rarely does anyone have the luxury to wait hours and hours before getting their car “unstuck”, their driveway cleared, or snow plowing for their parking lot. You need a snow removal service to service your needs in a timely fashion. That’s why Quincy Snow Removal provides 24 hour snow removal service all week long that’s fast, efficient, and affordable.